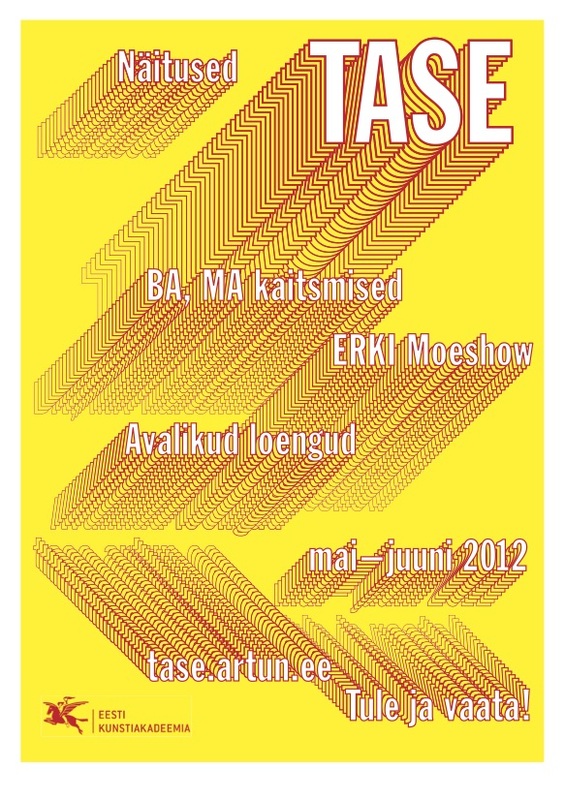 TASE ('level, 'ran', 'standing' in English) is the annual spring festival of the Estonian Academy of Arts which is centred around the MA degree exhibition showcasing the master's projects of students of Fine Arts, Design, Architecture and Art and Culture Faculty. The MA degree show is complemented by the traditional ERKI fashion show, solo-exhibitions by BA and MA students, artist talks and publicly open MA thesis defences. In 2012 I co-ordinated the MA degree show of Fine Arts and Design Faculty students at the Estonian Knighthood House.